"What famous film star was offered a trial by Sir Matt Busby?" Lest we forget, when watching today's United sweep artfully down on Europe's finest defences, that they once relied on the turgid, agricultural stylings of one Joe Jordan. Treble-winning superteam they may be now, but it's cheering to remember that the dark days were not so long ago. 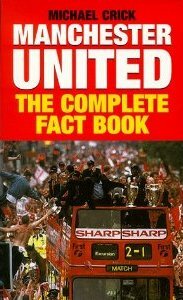 But search this book from cover to cover, ferret amongst the thousands of trivia nuggets that journalist Michael Crick has lovingly collated over the past 12 years and it's hard to escape the fact that Manchester United are one of the world's greatest clubs. 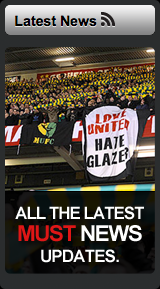 Crick covers all the standard stuff and wanders off the beaten track to dig up some real gems that will be fuelling footballing conversation for years to come. Gary Bailey vying with Peter Schmeichel as most successful United keeper? Peter Beardsley, the worst transfer deal in the club's history? A must for any Reds fan (the temptation to recite record attendances will no doubt be irresistible), but there's plenty to salve the bitter hearts of the rest of us. The complete record of missed penalties makes particularly soothing reading--take a bow Teddy Sherringham, three out of three. Consistently entertaining. By the way, the answer to the opening question is Sean Connery.